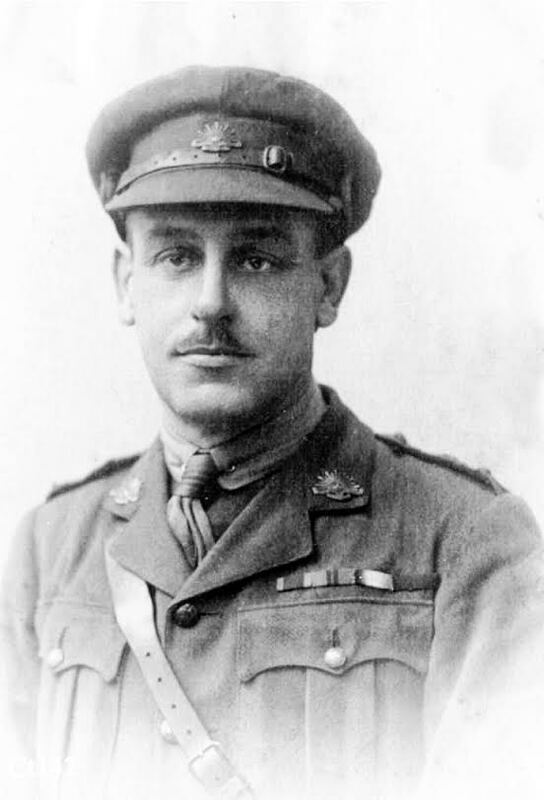 Captain James “ Monty” Montagu Christian Corlette, was aged 34, a brilliant University of Sydney Engineering graduate. He was also an experienced commissioned soldier who had extensive infantry and military intelligence training. 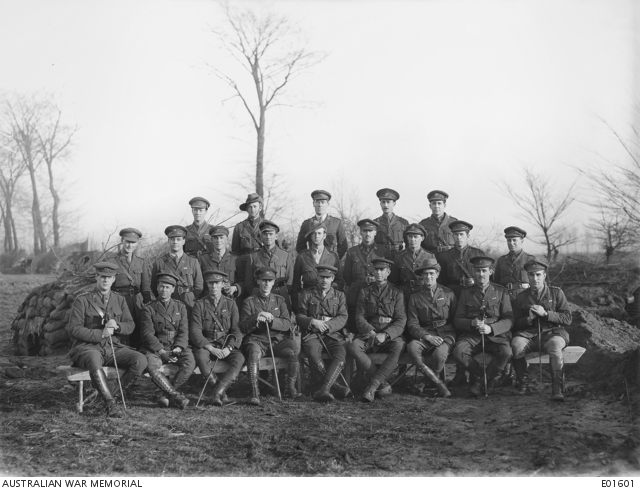 He was already a Major in the Australian Engineers before his appointment to the AIF. 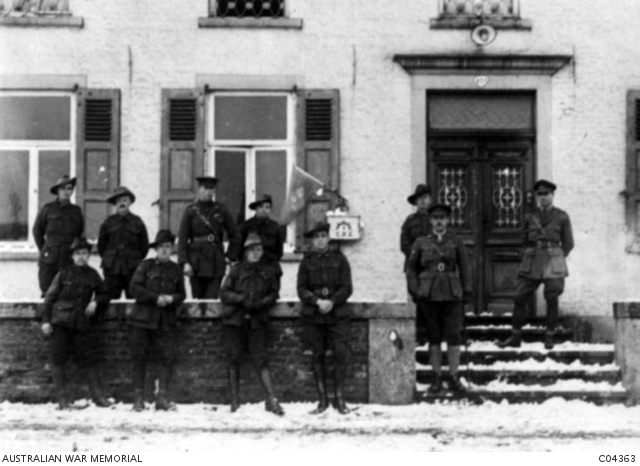 Group portrait of the officers of the 7th Company Engineers, at Leewerk Farm, near Neuve Eglise – Belgium: Western Front – Messines area – 28th December 1917. 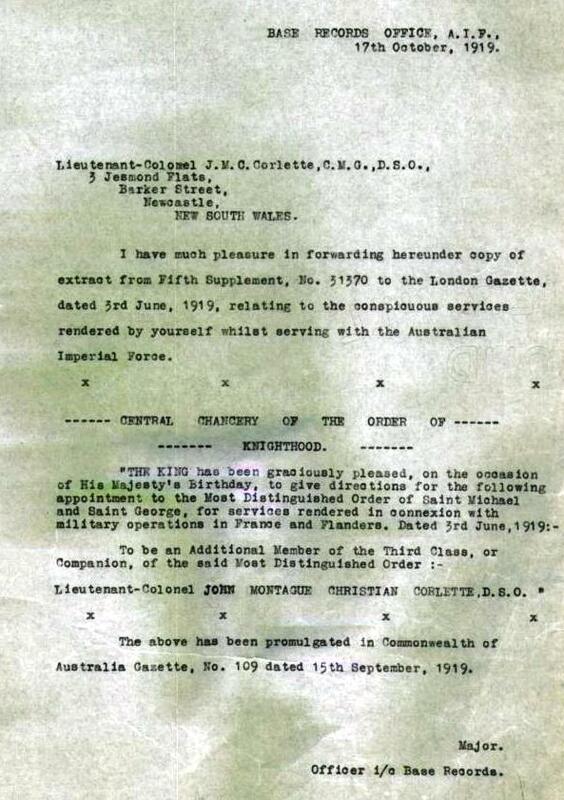 Awarded a Knighthood – The Most Distinguished Order of Saint Michael and Saint George Third Class – for services rendered in connection with military operations in France and Flanders. 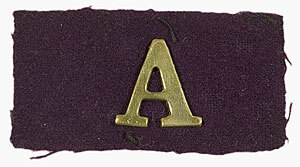 Australians have been recognised in all three classes with a total of 990 awards.